Amazon Prime Day, the company’s annual Black Friday-like sales event for Prime members that first launched in 2015, is coming soon. 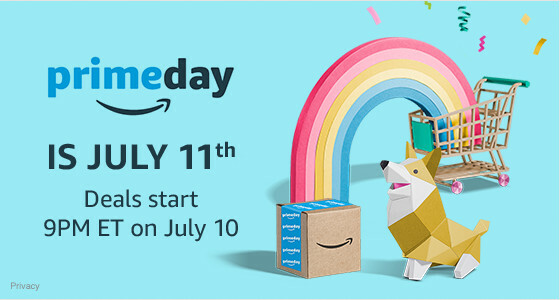 The company today announced that Prime Day 2017 is set for Tuesday, July 11, 2017, and that current Prime members can get an early start on shopping by logging on the previous night, Monday, July 10 at 9:00 p.m. EDT (6:00 p.m. PDT). Like the company’s Black Friday sales, Prime Day shoppers can expect a rotating series of deals throughout the day. Many of the products are clearance-like items that Amazon needs to move, but you’ll still occasionally find big savings on some cool stuff. If you’re not already a Prime member, you can sign up for the free trial which will give you access to the sale as well as all of the other Prime member benefits.